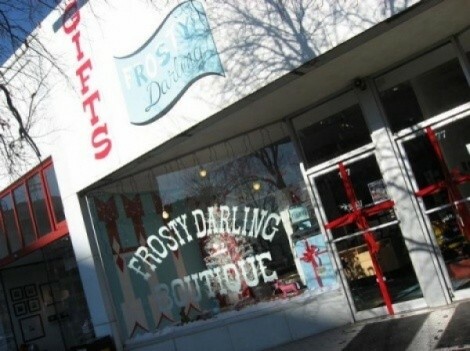 Gentry Blackburn's Frosty Darling (177 E. Broadway) has been operating in Salt Lake City for five years, selling candy and quirky gifts—many of which are made by local crafters and artists—and hosting cupcake socials and other events. The store, adjacent to Kayo Gallery, has been a fixture in the local artistic scene and has been featured in City Weekly several times, winning a Best of Utah award in 2008 and 2011 and having its unique items featured in CW's annual gift guide for the past two years. 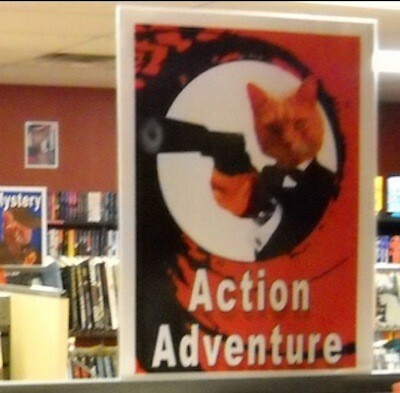 Who doesn't love a James Bond cat? Late 2011 saw the permanent closure of SLCitizen, a store in Library Square that sold items exclusively made by locals—many of whom never had an Etsy.com shop. Now, with Frosty Darling closing, that's two fewer places local creators and crafters have to sell their work. Trolley Square's Hive Gallery and Sugar House's Unhinged both devote a lot of space to local artists, and there's always Craft Sabbath, but gosh, I'll miss having the adorable Frosty Darling as a part of our city. As reader/book addict, I mourn whenever a good bookstore closes, and I feel a strange sense of guilt every time any good local shop closes down. When I visit a nice local business and am the only customer, I feel a compulsion to buy everything in the shop, even though I usually can't afford to. It's frustrating to see someone execute their dreams and visions to the best they can and not find permanent success.